Smack dab in the middle of Silicon Valley and with an estimated population just under 150,000, Sunnyvale is unique for several reasons. First, it is considered one of the safest cities year after year in the United States. Second, it is home to many tech giants like Yahoo! and Juniper Networks, as well as Lockheed Martin and Honeywell. Third, there are many things to do in and around Sunnydale if pleasure is what brings you to this part of California. Regardless of what brought you to this city just west of San Jose, you will need a reliable taxi company that you can count on. With decades of experience, a professional and licensed team, and a solid reputation, let Yellow Checker Cab help you get to your destination. Sunnyvale is centrally located providing quick access to many destinations including San Jose, Santa Clara, and numerous beautiful natural attractions. Within Sunnyvale, there are a number of cultural and museum locations, including the Lace Museum, and the Sunnyvale Heritage Museum. Gold course can be found everywhere and mini-golf makes a strong showing in the city as well. In addition, if fresh produce and locally created foods and crafts are your thing, then consider the Sunnyvale Farmers Market. It is recommended that every visitor check out the farmer’s market at least once. Again, Sunnyvale’s location makes it easy to book hotels, as the range of urban centers around Sunnyvale provide an incredible selection of places to stay. The Wild Palms Hotel, the Domain Hotel, the Country Inn, and the Grand Hotel all have favorable ratings. That being said, the above listings only begin to scratch the surface of your selection when checking out Sunnyvale. If you are planning a trip to this safe city, ensure you have a safe ride as well. Yellow Checker Cab offers you a prompt and reliable taxi service throughout Sunnyvale and the rest of our served areas. The booking process is quite easy. Simply, use your phone’s voice search function and say: “Find me a cab near me”, or “Find a taxi near me”. From the search results, pick Yellow Checker Cab. You can also use our website booking widget or call us at +1 408-777-7777>. Book premier Sunnyvale taxi service at affordable rates. While most locals would recommend the In-N-Out Burger to those unfamiliar to the region, there are also countless ethnic foods worth checking out. The Kabul Afghan Cuisine, the Falafel Stop, the Tarragon, and the Tanto Japanese Restaurant all offer fantastic selections of food. In addition, Dishdash and Merit Vegetarian Restaurant are popular choices offering a wide selection of respective dishes. If none of these options interest you, then consider one of the surrounding cities to find something more suitable. 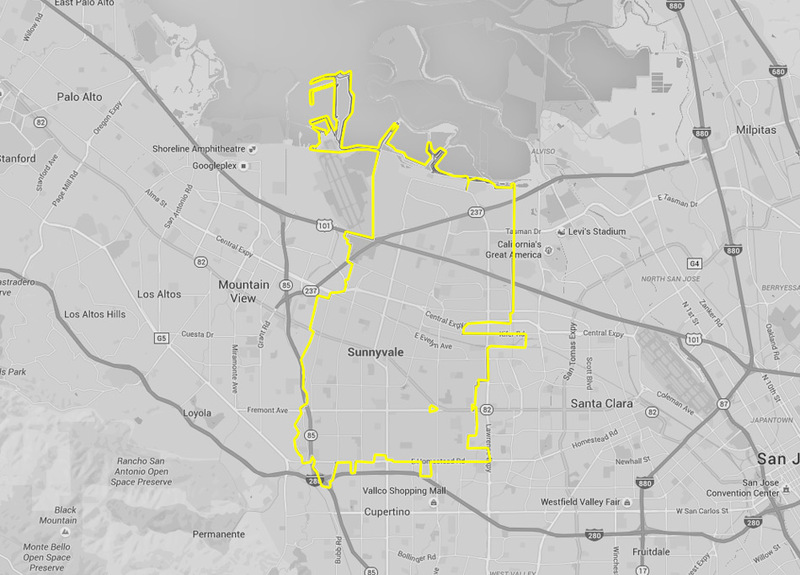 Whether you come for the food, the sites, on business, or to make Sunnyvale your home, every first trip requires an itinerary and a reliable form of transportation. From beginning to end, let Yellow Checker Cab, with years of experience, provide you with a taxi Sunnyvale service worthy of the incredible city we serve.